This post is brought to you by Volvo. I dedicate this post, and these delicious biscuits, to the inventors and their eureka moments without which we’d still be ironing our clothes (and our hair for that matter) with hot rocks. The engineer who invented the self-cleaning oven? Pull up a chair mate. Josephine Cochrane, the dreamer who glanced down at her manicure and wished the dishes would wash themselves. This one goes out to you. The engineer at Volvo who had the brilliant idea of putting built-in booster seats in the XC60? You get two cookies. The Swedish prodigy who added an automatic tail gate? You win the life-long adoration of this woman who refuses to make two trips. AND I’ll make you these cookies any time you like. There was a rainy afternoon when I considered marrying the person who invented heated car seats, but I have no idea about his marital status. Perhaps a biscuit dedication is more appropriate. I discovered another genius invention this week: peanut butter chips. 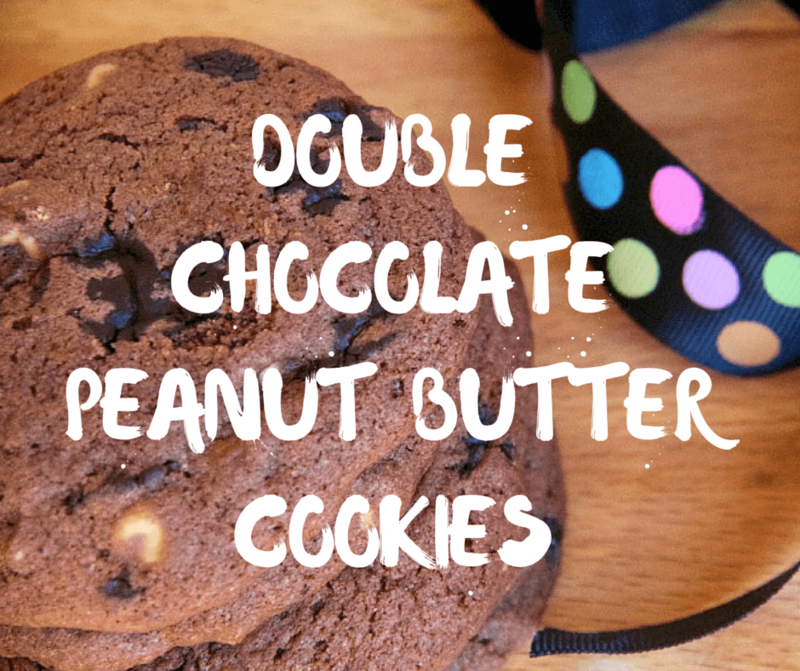 Want little chunks of peanut butter in your cookies but not sure how to pull it off? 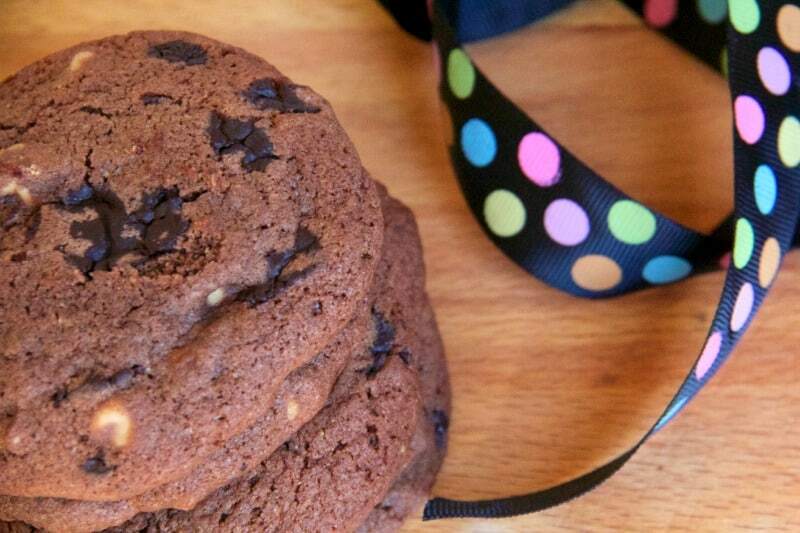 Some brilliant baking inventor has you covered. I expect that creator of chips of peanut butter is capable of making their own biscuit devotion, but you make the credits of this recipe anyway! Cream the butter and sugar. Add the egg and vanilla and beat again until combined. Add the flour, cocoa, baking powder and soda. Mix until well combined. If the mix is too stiff add a splash of milk to the cookie mixture. Stir in the chocolate and peanut butter pieces. Place tablespoonfuls of the mixture onto baking trays and bake in a 180°C oven for twelve minutes or until the cookies are baked but still gooey inside. Allow to cool on the tray for five minutes before transferring to cooling racks. 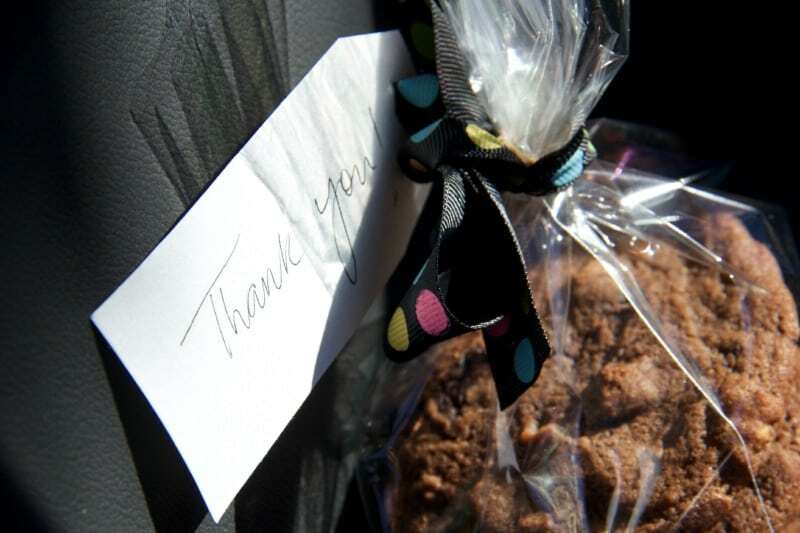 We left a bag of these biscuits on the front seat of the XC60 when we returned it to Volvo yesterday. While I’m not certain that they’ll make it all the way to the clever clogs design engineers in Sweden, but I hope the joker who drew the Big Mower on the in-car navigation gets at least one. You tickled my funny bone, well played, Sir. 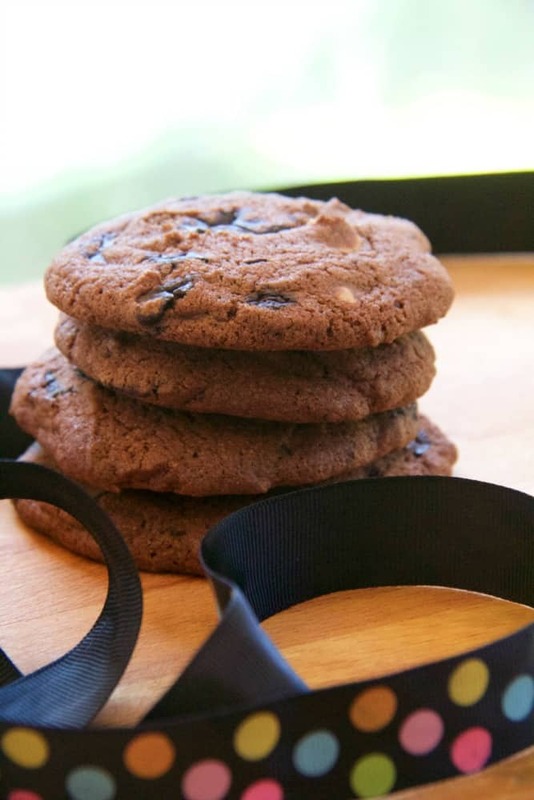 what inventor would you dedicate a biscuit to? I spent ages staring at that little mower before I realised what it was – so clever! You should add yourself to the clever people list. Peanut butter chips! Who knew? We’re making the most of nuts in baking during the school holidays Grace. Oh yum. These look great. I’m adding them to my to cook list this very minute. Mmmmm. Peanut butter goodness. My favourite! Built in booster seats that is clever and so handy. I’d be lost without my dishwasher, got out first when kidlet number 1 was 12 months old, that was 9 years ago now and I’ll never be without one. Amanda these biscuits looks and sound sensational, I’m not usually a peanut butter fan but teamed with the double chocolate you could definitely twist my arm. Thanks or joining in with our Fabulous Foodie Friday fun. My son always clicks on our seat warmers when I am not looking and then watches for me to react. It’s a slow build up then too hot! We first experienced them in Ireland (much more fitting weather for seat warming technology)… and my husband and I didn’t realise that such a thing existed. We couldn’t work out why our butts were so hot. They had switched them on for us at the car hire place…. and it was a Volvo. We also almost got said fancy Volvo stuck in a bog but that was really my fault not the driver. I was trying to get him to pull over closer for a shot of some Irish Sheep. Gorgeous mountains in the background.. Photo came out great. Car was saved.